What was Stalinism? 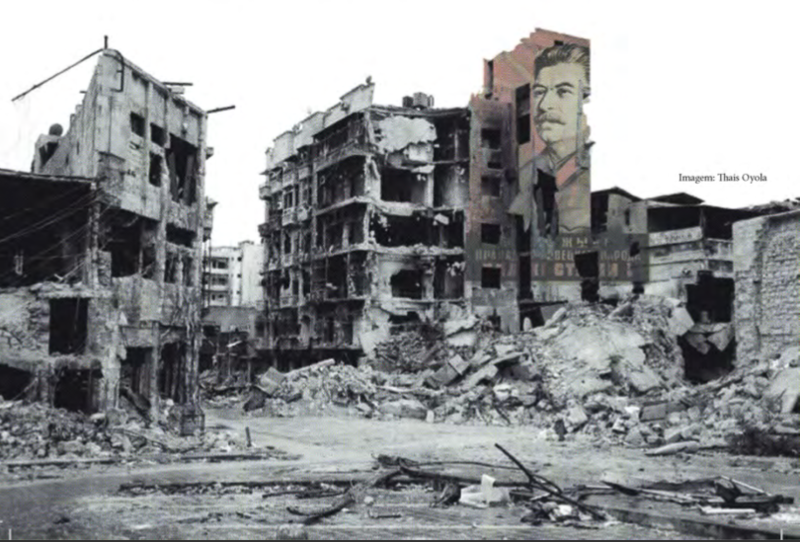 Why did it occur and will it be the fate of all socialist revolutions? Bourgeois propaganda about the supposed failure of socialism has convinced most people that revolution is impossible. But as a result of the capitalist crisis, we are witnessing an interesting ideological shift. Around the world, broad sectors of youth feel a growing attraction to socialist ideas. Even in the United States, the heart of imperialism, increasing numbers of young people are recognizing that capitalism can only provide a precarious future. In the US, this attraction to socialism has grown the ranks of the Democratic Socialists of America (DSA) whose main leaders have a generally positive assessment of the October Revolution. However, they also argue that the revolutionary path taken by Lenin and Trotsky inevitably led to totalitarianism and the terrible results of the rise of Stalin. Separating Lenin and Trotsky from Stalin is necessary, not only to correctly interpret the Russian Revolution and its aftermath, but also to reestablish their revolutionary role in history. It is necessary to understand that the strategy of the Soviet bureaucracy was radically opposed to the strategy of the main leaders of the 1917 revolution. Separating Lenin and Trotsky from Stalin is essential to understand communism as a coherent strategy capable of winning in the revolutions to come. Separating Marxism from its Stalinist epigones is much more than a question of putting historical personalities in their proper places. It is impossible to reclaim communism as a revolutionary movement without both rejecting Stalinism and having a deep understanding of how the Soviet bureaucracy not only moved away from, but was a direct rejection of, the program, strategy, and values of revolutionary Marxists. 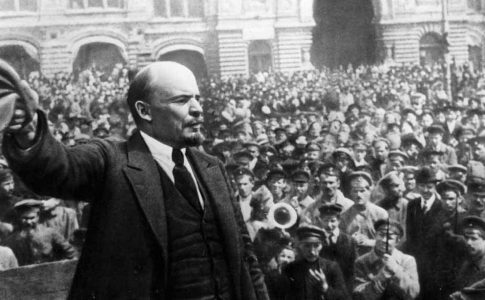 The Russian Revolution of 1917 triumphed after years of imperialist war. Russia was a backward country that had been devastated by the war against Germany, the most important European power. The revolution that gave power to the soviets, led by the Bolshevik party, had two pillars on which revolutionary gains relied. In foreign affairs, in order to ensure an immediate withdrawal from the war, the Bolsheviks were forced to make enormous territorial and economic concessions to the German Empire. Domestically, the Bolsheviks had to adopt a program of distributing land to the peasants. This is distinct from the socialist program of agrarian collectivization based on the expropriation of the large landowners. This compromise was made in order to cement the alliance between the proletariat and the peasantry that brought the Soviets to power (symbolized by the hammer and sickle). With this programmatic concession, the workers built the class alliance that formed the foundation of the new state. However, this introduced a conflict of interests. While the cities had ended private ownership of the means of production, in the countryside, the peasants owned the land on which they farmed. To advance socialist policies in the countryside, peasants would have to reach the conclusion that collectivized land was better than individual property. The first years of Soviet power did not present a peaceful context in which to undertake economic development. On the contrary, the imperialist war was replaced by an even fiercer civil war. All the imperialist powers that had been rivals in the world war now united in a single block of support for the the White Terror and the counterrevolution against the Soviets. Trotsky was both the creator and the military commander of the Red Army, as well as one of the most profound economic analysts of Soviet life in the 1920s. He noted that the civil war did not only paralyze the economy but also widely destroyed infrastructure and means of production. For example, both sides blew up bridges to prevent enemy access to new territories. Moreover, the civil war forced the Soviet Union to impose “war communism,” which was especially detrimental to the proletariat’s alliance with the peasants. Peasants were forced to produce food for the cities and the war front. Due to the dire conditions in the USSR, the peasants’ goods were taken without any economic compensation; it was a painful necessity imposed by the struggle against the counterrevolution. However, this produced a disastrous effect: without a material incentive, peasant production continuously declined. After all, if state compensation was not based on the volume of production, then why produce more? The solution to the impasse created by the politics of “war communism” was Lenin’s bold political shift with the introduction of the New Economic Policy (NEP). This policy consciously introduced market (i.e. capitalist) mechanisms to encourage a rise in production in general, and of foodstuffs in particular, and to revive trade in the cities. Lenin always made it clear that he believed that the NEP was a step backwards for the revolution – a step towards capitalism. Yet he believed it was necessary to take a step back in order to take two steps forward in the future. For Lenin, the concessions of the NEP made it necessary to strengthen other elements of the Soviet state. He wanted to strengthen the proletarian element of the party and the government by reinforcing working class control over production and foreign trade. Furthermore, Lenin supported the international expansion of the revolution, which would break the Soviet Union’s isolation and allow the struggling Soviet state to enjoy the solidarity of new workers’ states. For Trotsky, the NEP was a temporary measure to buy time until the global revolution eliminated the need for such policies. However, Lenin’s statements on the temporary nature of the NEP were totally neglected by the party leadership after his death, particularly by the “triumvirate” — Stalin, Zinoviev, and Kamenev, who formed a bloc united against Trotsky. The triumvirate put forward a policy of even greater concessions to the nascent capitalist elements that had emerged under the NEP. Later, the Stalin-Bukharin bloc even formulated the slogan, “Peasants: enrich yourselves,” in order to win peasants’ support for the Soviet regime. This almost led to a rupture in the alliance between the peasantry and the working class, threatening the workers’ state. By the late 1920s, the country was once again on the verge of civil war due to the right-wing policy pursued by the Stalin-Bukharin bloc. Stalin’s response was yet another zigzag, this time in the opposite direction. His new ultra-left position had two main elements: the forced expropriation and collectivization of peasant land and a shift of resources towards rapid industrialization. Forced collectivization meant massive repression against the peasants. To impose these policies despite dissident voices within the party, Stalinism strengthened its bureaucratic choke hold. In 1929, Trotsky was expelled from the Soviet Union and the Left Opposition that he had founded was persecuted. After Trotsky’s expulsion from the USSR, Stalin doubled down on his violently repressive policies, not only against those deemed “Trotskyists” but also against potential opponents and any other socially transgressive group (artists, LGBT people, etc). The repression was so systematic that the bureaucracy built concentration camps and engaged in mass murder and genocide. This is exemplified by the enormous farce of the Moscow Trials from 1936 to 1938 in which the whole old guard of the revolution was shot at the behest of Stalin, accused of being saboteurs and Nazi agents. With constant zigzags to the right and to the left, the bureaucratic and conservative apparatus was trying to find an equilibrium, mediating the class conflict in the Soviet Union. The Stalinist bureaucracy usurped the social wealth created by the workers’ state and became a privileged and commanding stratum. After Stalin’s death in 1953, the bureaucratic apparatus he created attempted to brush aside the deep roots of his crimes by putting the blame on a Stalinist “cult of personality,” criticizing his methods but divorcing the critique from his political program. What this fails to take into account is that the terrible methods of Stalinism are a direct consequence of its counter-revolutionary program, which faced great opposition within the Bolshevik party as well as in the broader Soviet Union. In order to implement his program, Stalin massacred hundreds of thousands of workers, peasants, and party militants, especially in the second half of the 1930s. His policies were responsible for establishing a society based on fear, with privileges for a small bureaucratic layer. Stalinism revived nationalistic prejudices, oppressed national minorities, and persecuted Jews and other oppressed groups. A clear example of the reactionary nature of Stalinism is women’s oppression; Stalin reversed the progressive reforms instituted by the Bolsheviks. While the Bolsheviks encouraged an end to the bourgeois family system, Stalin instituted the Order of Maternal Glory– awards for women based on how many children they had. The Revolution Betrayed, written by Trotsky in 1936, describes the process of Stalinization as Thermidor. This comparison to the French Revolution requires further explanation. Thermidor was a coup that had interrupted the progressive course of the French Revolution under the Jacobins. It began a process of conservative stabilization of the country while reversing several social achievements of the early years, including the end of the colonial slave regime. Despite its reactionary elements, Thermidor did not represent an overall return to the previous social regime which was, in the case of the French Revolution, feudalism. The reactionary forces could not return to the old order, but they could act upon the groundwork laid by the previous revolution. This was the basis for Trotsky’s analogy regarding the historical triumph of Stalinism; it represented a fundamental break with the revolutionary tendencies of 1917 but did not return to the capitalist order. 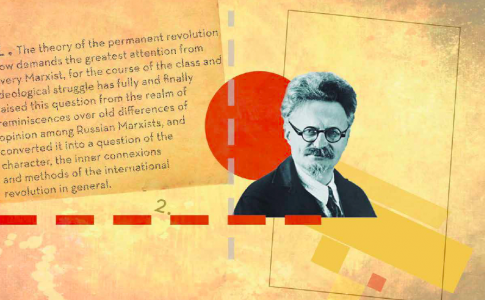 Trotsky warned that the interruption of the Russian Revolution at an intermediate stage between capitalism and socialism could not last forever. Unlike capitalism, blindly ruled by the laws of the market, socialism is a conscious product of human will. In this sense, the Stalinist Thermidor represented the greatest danger for the future development of the revolution and socialism, both within the Soviet Union and abroad. History has proven that Trotsky was right. While it is necessary to understand Stalinism as the bureaucratic degeneration of the revolution, it is equally important to understand that this process was not predestined. This conception naturalizes the historical regression led by the Stalinist bureaucracy, as if it were the natural outcome of any revolution. Seeing Stalinism as inevitable can lead to apathy and complete skepticism about the possibility of human emancipation. It is based on the idea that a revolution will inevitably lead to new disasters. If all attempts to overcome capitalism are bound to the same fate as the Soviet Union, is it even worth trying? Using a scientific method of analysis, we can counter these misconceptions. Stalinist degeneration was a product of historical circumstance, not a fate written in the stars. This is a misunderstanding not only because it would have been possible to have a more coherent program with socialist objectives within the Soviet Union. There is another element that is even more decisive: Stalinism was a product of the isolation brought on by the the immaturity of communist leadership in key countries such as Germany, and their failure to take advantage of key revolutionary moments.. The Russian Revolution demonstrates the need for an international strategy that finds expression in practical and everyday decisions. Thus, Lenin’s NEP would seem to be a unilateral shift towards capitalism – if not for the context of Bolshevik internationalism. For Lenin, the NEP was a step back, but could be followed by two steps forward if a revolution was successful in another country. Thus, one of the Bolsheviks’ central aims was to direct all forces to the international expansion of the Russian Revolution. They were particularly interested, although not exclusively, in a proletarian revolution in Germany, the most advanced capitalist country in Europe, as well as the country with the strongest Social Democratic party. When Lenin famously said he would sacrifice the Russian Revolution for the benefit of the German revolution, it was not a metaphor or a catch phrase. It was a strategic conclusion he used to guide the Russian proletariat and the Third International during its first four congresses from 1919 to 1922. Marxist proletarian politics must be fully internationalist. 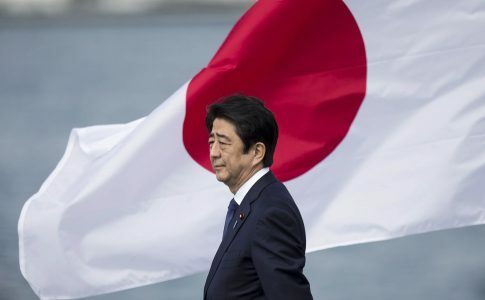 They must be distinct from politics that focus exclusively on the national level accompanied by a well-intentioned desire that workers in other parts of the world also succeed. Internationalism is not mere solidarity with international struggles, although this aspect is an indisputable component. Marx said that class struggle is national in form and international in content. It is on a global scale that we measure the success or failure of socialist revolution. Triumphs in partial battles – even if these battles are revolutions in a particular country – are merely ephemeral. A victory in only one country is unable to determine the overall process. This is the central lesson of the revolutionary experience of the 20th century. It is on this basis that we construct a revolutionary strategy suited to the challenges of our time. 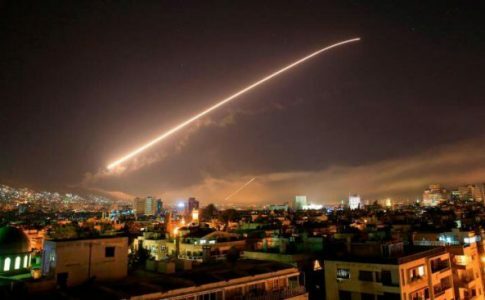 A Grand Strategy must be developed in the same way Trotsky developed his theory of permanent revolution — on the basis of the defeats and victories of the Russian, European, and Asian revolutions of the first decades of the last century.